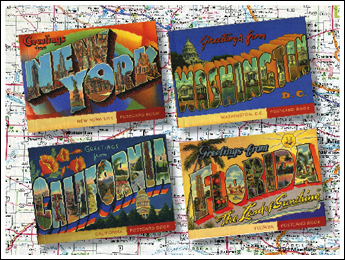 We're sure you've seen vintage "big letter" and other souvenir postcards in most flea markets and collectibles shops. Now you can celebrate great Deco destinations (whether you visit the cities or not) with these postcard books. Each one has 30 different fun designs sure to make you smile, and they're great to send to your collector friends. ST85 - Greetings from D.C.